Teaching is an art. There is no exact science to sharing knowledge and getting children excited about learning. All we can do is learn a few techniques, then let our love, passion, and instinct lead the way. Creativity saves the day many times in teaching. But where can we get creativity? My copy of the 10th anniversary edition. Now they sell a 25th anniversary edition. 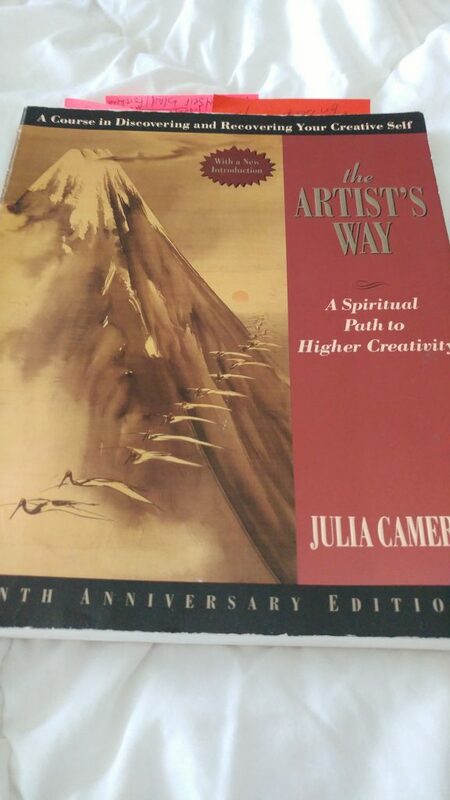 One of the books that have helped me in my teaching is “The Artist’s Way” by Julia Cameron. At first, you would not make the connection between homeschooling and this book. Ms. Cameron has put together a 12-week artist recovery. As such, this book speaks to all kinds of artists who feel blocked in their creativity. By reading one chapter a week and absorbing the affirmations and doing the homework, for a quarter of a century now, artists all over the world have unblocked their inner artist child and have connected with the Source of all creativity, God the Creator Himself. The first time I went through “The Artist’s Way,” back in 2006, I applied the principles to my business, which many people do. At the time, I was a Realtor and had no children. Through this book, I realized I did not quite fit into the business world. Sure, I could go through the motions and check all the boxes and make money, but it was not me. The core of “me” did not resonate with sales and spreadsheets. Instead, “The Artist’s Way” showed me my passion, the thing that made me alive, was teaching my own children and writing. As I became a mom, I decided to homeschool. Then, I started a blog, a newspaper column, and published several books. I owe it all to Julia Cameron’s classic book of uncovering the artist within. We grow up in a world which mocks “starving artists.” Well-meaning parents guide us into “the real world” of careerism. We submit to that but by age 35 or 45 something inside snaps. The blocked artist within has had enough. He or she expresses himself or herself through a mid-life crisis. Marriages dissolve because of it. Divorces happen for many reasons, but this lack of connection with our inner artist can play a part. This year, I started going through this book again because I felt the need for more creativity in my life. I am on week 5 out of 12 and have already seen so many results. Going through this book once a year would probably be a great idea. I recommend this book to all people, artists or not, teachers or not. And here I am recommending it to you. It reminds me I never finished this book. I need to go back to it. Yes, please go through it and take your inner artist child on weekly dates. The morning pages are key, as well.